"Belvedere" means "open porch" and we welcome you to our home located in Winton, New Zealand in the heart of central Southland. 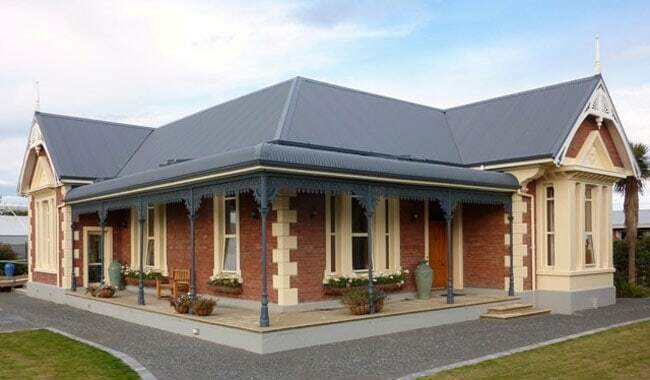 In this old-style character home, located on State Highway 6, a warm welcome awaits you. We have two rooms to offer; each has a queen-size bed with ensuite. All rates include a home-cooked breakfast at your appointed time. Features include central heating, TV in room, underfloor heating in bathrooms, outside deck and BBQ. Free wireless internet access available. Just a stroll away from the town centre, only 30km to Invercargill or 150km to Queenstown. You can sip wine in the garden or relax with other guests in the shared lounge. Enjoy a Continental and or cooked breakfast at your requested time. Phone now for a reservation. "Belvedere" means "open porch" and we welcome you to our home located in Winton, New Zealand in the heart of central Southland. . . . More . . .